Kellyville Investment Properties, why should you invest in Kellyville? Nearly 37km from the CBD, Kellyville is becoming an investment property destination for several buyers. While being convenient to everything one may need, it is a beautiful country meets city suburb nestled in nature. Serene and calming, a place one would like to come home to. Over the last five years, Kellyville has been transformed from a rural area to one of Sydney’s fastest growing suburbs. With many new homes constructed, several buyers want in on the action! Ranging from smaller units and larger terrace-inspired homes, a good mix of housing options is attracting a wide range of buyers to the area. Even those wanting to downsize can find what they are looking for in this serene suburb. Kellyville properties feature freestanding homes with big backyards which is a magnanimous plus for several investment properties buyers. Young families are especially keen on the space availability and see value for their investment properties. Kellyville is part of the growing north-west area, who’s infrastructure will be continually revitalised and expanded, further improving its liveability. The North West Railway Link, soon to be completed has made a positive impact on property prices in the area and has made nearby areas easily accessible. Rouse Hill Town Centre and Kellyville Shopping centre are good places to shop for your day to day necessities. The number of households has increased, which can be attributed to the infrastructural updates and developments made in the past few years. Only a short drive takes you to the commercial hub of Castle Hill and Norwest Business Park which is home to a range of businesses along with restaurants, childcare centres, supermarkets and retail. 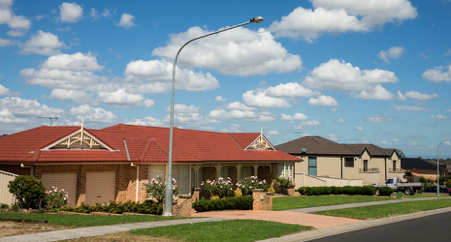 While the development in Kellyville is booming, it has not lost its country feel and charm. You can still find plentiful open spaces with blossoming nature, which adds to its beauty. Green streets, backyard spaces and pools make Kellyville a great housing option for families and for those looking for investment properties. 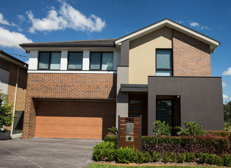 Reputable schools, both private and public, including Hills Grammar, Rouse Hill High School and William Clarke College make it a sought after suburb. Due to ample land and growing infrastructure, the property prices have soared through the years in Kellyville within the last five years, the property prices have increased by 33.5%.